At William Booth, we offer early years education for children aged 3-5. We follow the Early Years Foundation Stage Curriculum and use the Early Years Outcomes as guidance. We provide opportunities for children to develop knowledge, skills and understanding across the seven areas of learning. These are split into the Prime areas; Communication and Language, Physical Development, Personal, Social and Emotional Development and the Specific areas; Literacy, Mathematics, Understanding the World and Expressive Arts and Design. 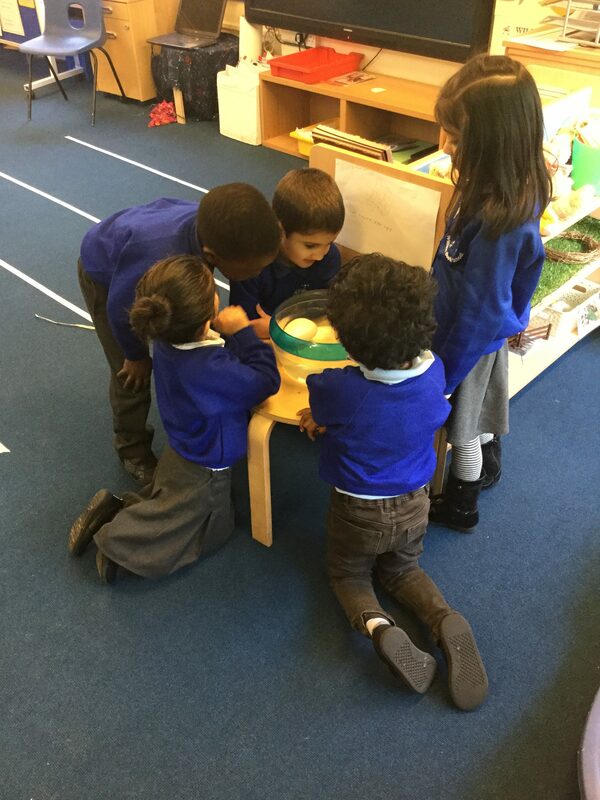 We assess children using observations and planned activities, and at the end of the Reception year, we use the Early Years Foundation Stage profile to assess the children’s level of development. Last year 70% of children achieved a Good Level of Development, which was in line with national statistics. The Foundation Stage team all work together in Unit 1 to ensure all children have an enjoyable start to school life. The curriculum is structured to provide opportunities for ‘child initiated’, ‘adult initiated’ and ‘adult led’ learning. The daily routine of both Nursery and Reception includes sessions that teach specific skills linking to phonics, maths and book talk. We have a wonderful outdoor area providing a wide range of learning opportunities. The children have the opportunity to free flow between classrooms and outside for a considerable amount of their day. The adult role during these times is to provide quality interactions in order to support and develop skills across the curriculum. Developing vocabulary is a golden thread throughout all of our provision. At William Booth we pride ourselves in the relationships we build with our parents throughout their child’s school life. We welcome all parents and children to visit the foundation unit prior to starting, and host a wonderful ‘stay and play’ morning for parents and children to get to know the school. We value the role parents have in their child’s development and ask for regular updates on what the children have been learning at home via the ‘Wow Wall’ where parents can share those special moments. We hold regular parents meeting, workshops and drop in sessions to inform parents of how their children are learning at school.